Through storytelling, lecture, web promotion and sharing in conversation I am slowly spreading the word about the brave farm boy from Ashford and his heroic record in the Civil War. His story like so many thousands of Civil War era stories is about a farm boy turned soldier, many of whom did not go home after the war. Edward Whitaker was indeed one of the lucky ones. His story is not his alone to share though. His is a family story, of how this family raised their children and the deep sense of duty and honor in them all. Four Whitaker brothers enlisted Edward and Daniel here in Hartford,Ct. for three months as privates in the Infantry( Edward was 19 at the time). Older brother William was in New Hampshire when President Lincoln’s call for troops went out, he enlisted in the Infantry in New Hampshire. 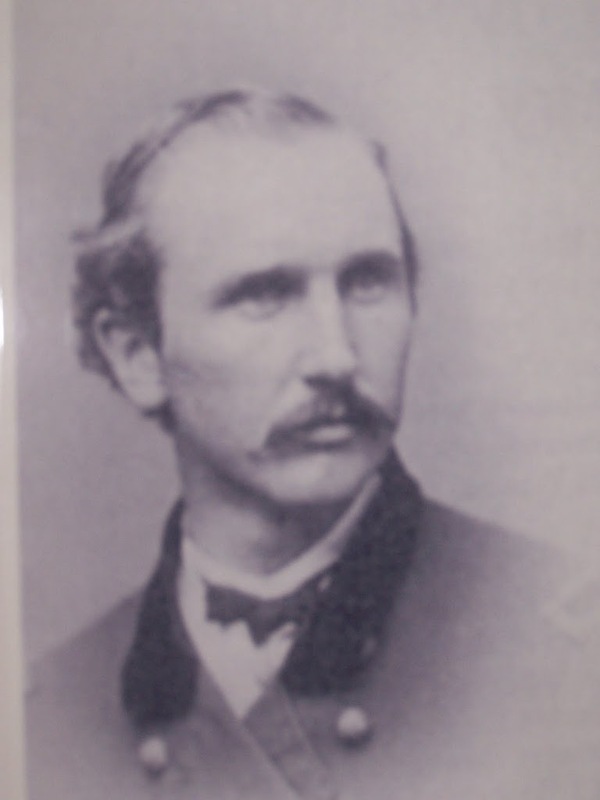 George, another brother was in California and served his time in the Civil War between California and New Mexico. After the three month tour was over the Whitaker brothers knew the war was to last a very long time, they re-enlisted to see it through. 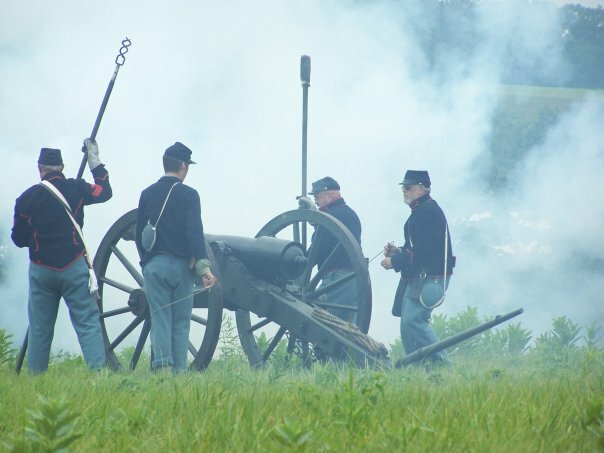 Edward and Daniel decided they were not going to walk the rest of this war, they enlisted in the CT. Cavalry and their unit was attached to the Union, Harris Light Cavalry of New York. The unit fought in most of the major conflicts all the way to the end at Appomattox Court House. In telling the story of a hometown hero to school students and historical groups I paint a vivid picture of Edward riding through the enemy lines with a small unit to capture the renowned Confederate spy Harry Gilmore. You would wince to hear the telling of his horse being shot out from under him as he charged and leaped over the Confederate lines at the battle of Five Forks. There is no way you can escape the pain of hearing how he escorted his brother Daniel’s body home for burial after he was shot and died in the battle at Aldie, Virginia. How hard it must have been to return to battle without that brother at his side. How hard to be brave and know the toll it would take on his mother back in Ashford if he should lose his life in this seemingly eternal war. Four sisters were as heroic as the men of the Whitaker family. Four sisters who packed bags right at the end of the war. Four sisters who went beyond what was so recently enemy lines to open schools for freed slaves. The Civil War is rich with the tales of heroism and sacrifice, courage and resolve. Sharing a family story of all these noble traits is a not a gift, it is what we owe! 150 years since the Civil War ripped this nation into bloodied halves and 150 years for healing the gaping wound. Sharing the stories is the best way to insure we never never take these advantages, passions, courage and freedom for granted. General Edward Whitaker rode out onto the field at Appomattox with allguns aimed, galloped across under the white flag of surrender carried by a single Confederate soldier. 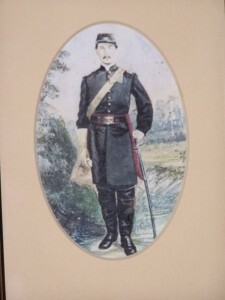 Edward, the once farm boy of Ashford CT., accepted the unconditional surrender of Lee’s Army of Northern Virginia from General Longstreet and went on to be forgotten by history. Please visit our page on FACEBOOK “Family Tree of General Edward Whitaker”. We will be adding more info and items and looking for descnedents of any of the Whitaker family lines. Edward was one of 16 children raised here in Ashford. Descended from the Whitakers of Rhode Island and his mother’s family, the Colegrove’s whose family line goes back to Roger Williams founder of Rhode Island. This is a family of Old New England as I researched the geneology I even found members of the Allen family which are also my ancestors. All the more reason to honor the memory of these family members thrust onto the field of battle from a humble begining along Horse Hill in Ashford, CT.